PETALING JAYA (Nov 18): The Cabinet has directed Dewan Bandaraya Kuala Lumpur (DBKL) to freeze approvals for four types of developments following a study by Bank Negara Malaysia (BNM) that raised the alarm on a glut in these buildings. In a document sighted by EdgeProp.my, DBKL was instructed to cease considering and approving the development of shopping complexes, offices, serviced apartments and luxury condominiums priced over RM1 million in Kuala Lumpur, effective Nov 1. 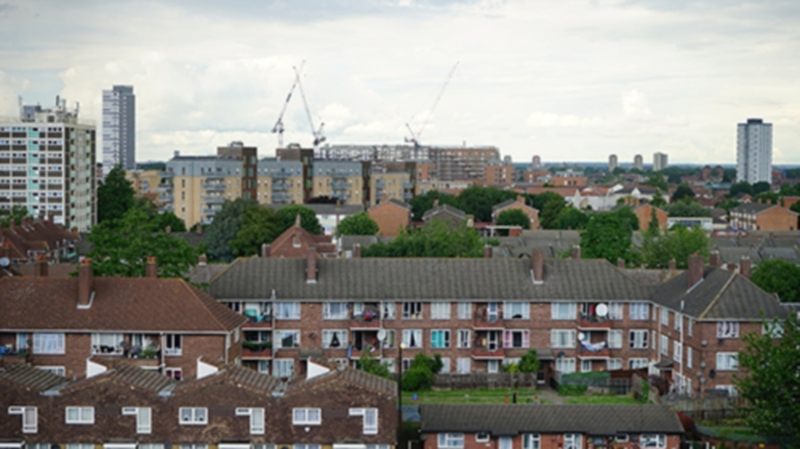 Existing applications — including variations made to building plans that have received development orders — must receive planning permission by January 2018. In a report by The Edge, Federal Territories Minister Datuk Seri Tengku Adnan Tengku Mansor — who confirmed the contents of the document — said the freeze may continue for one to even three years, depending on the state of the market. In a briefing on Friday, the central bank highlighted the decade-high level of unsold residential properties (130,690 units as at 1Q17), with 83% of them priced above RM250,000 and 61% of them being high-rise apartments. The latest unsold properties figure is almost double the historical average of 72,729 units per year between 2004 and 2016. Johor led with the highest proportion of unsold units in Malaysia at 27%, followed by Selangor (21%), Kuala Lumpur (14%), and Penang (8%). Meanwhile, BNM predicts that one in three offices will be vacant by 2021 and 140 new malls will enter the market across the Klang Valley, Penang and Johor. The central bank said office vacancy rates in the Klang Valley have hit 23.6% in 1Q17 and could reach 32% by 2021. On the other hand, BNM governor Tan Sri Muhammad Ibrahim pointed out that there were far too many malls for a population of 32 million. PETALING JAYA: The property market will take a terrible hit next year, with developers and house owners facing one of the toughest times to find buyers, says a real estate veteran. Ernest Cheong said it could lead to a market crash as consumers do not have the financial capacity to own homes with some failing to even pay their monthly instalments. “The panic (within developers and house owners) might start after Chinese New Year in February or later if the government decides to pump in money to strengthen the market,” he told FMT. He was responding to a statement by Deputy Finance Minister Lee Chee Leong who said unsold completed residential units rose by 40% to 20,807 units in the first half of 2017 compared with the same period last year. Lee had said the units were worth RM12.26 billion with condominiums and apartments costing over RM500,000 dominating the unsold homes in Malaysia. However, Cheong pointed out that the RM12.26 billion is only from the primary market, which includes launches by developers. It does not include the secondary market, which is house owners seeking to sell their homes. “Previously, house buyers needed to pay 10% as deposit. Today, the situation is different. Developers are in a desperate situation. “That is why they are allowing buyers to pay 1% of the property price and pay the remainder upon completion,” he said. Cheong said this “generous payment mode” exists because developers are finding it hard to sell off their new properties. He said they are in danger of losing their bridging finance from banks if they fail to sell at least 40% of the total units. The bridging finance is used by developers to support their construction. “This is where the danger starts. I predict if this continues, markets will crash within 24 to 30 months because consumers do not have the financial capacity to buy properties any more. He estimated the value of homes waiting to be sold in the secondary market to be around RM4 billion and expected more foreclosures by banks. “So about RM16 billion of properties are waiting for buyers. But there is no demand. The reason is that people don’t have the money,” he said. When the property crash comes early next year, Cheong expects the prices of houses to fall from RM500,000 to RM300,000. 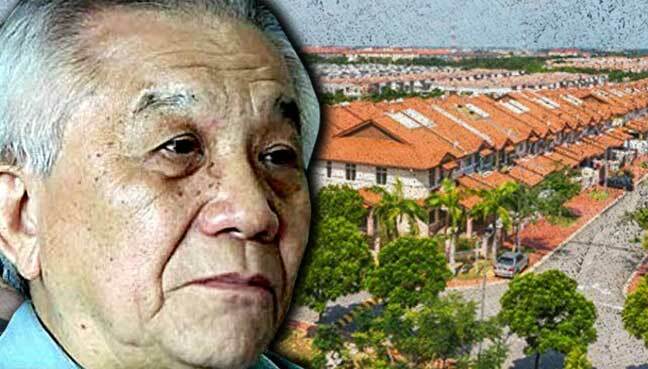 He advised Malaysian consumers not to commit to buying a home unless they could save up to RM1,000 a month for at least a year. Cheong said findings by the Employees Provident Fund show that 89% of Malaysians earn RM5,000 and below a month. He said those who bought their homes five years ago are facing hardship as prices of homes were at their peak then. On average, for every RM100,000 housing loan, a buyer pays the bank RM500 instalment a month, based on a 30-year payment period. Cheong advised Malaysians to spend cautiously and invest wisely instead of buying any property at the moment. THE likelihood of a property crash in Malaysia remains low despite the current scenario in the market. In spite of Malaysia’s economic and political uncertainties led by external factors, the local property market is stable. It is not heading for troubled waters although some have formed an opinion that the industry will come crashing next year. Are they making mountains out of molehills? Or can they really predict the worst possible outcome for future events based on today’s scenario? The answer is “no”. Ask other property experts out there and they will tell you that unless you have a crystal ball there is no way anyone can predict what the future holds for us. Past-president of Malaysian Institute of Estate Agents (MIEA), Siva Shanker, totally disagrees with anyone who says the market will crash next year or the year after and so on. No one can predict the worst possible outcome for future events based on today’s scenario unless they have a crystal ball. “I don’t think anyone can predict something so definite unless they have a crystal ball. Since none of us have a crystal ball, the best thing we can do is to predict general outcome based on a set of indicators that we have. “The problem with Malaysia is that we don’t have enough data or research material to actually make educated guesses. The data that we have are at best three to six months old. So, you are making a guess for the following 12 months based on data which is already six months out of date. This is guess work. “No matter what kind of a consultant you are or how many years of experience you have, there is an element of guess work in your predictions. Of course with many years of experience you learn to develop a spider sense and you get an instinctive feel of where the market is going, but i think it is impossible to predict it to such certainty,” Siva told NST Property in an interview. He was responding to a report by an online news portal quoting property veteran Ernest Cheong who opined that the real estate market would crash next year and house prices would fall from RM500,000 to RM300,000. Cheong predicted there would be a market crash next year as developers and homeowners would find it hard to find buyers. This comes as Deputy Finance Minister Datuk Lee Chee Leong recently revealed that 20,807 completed residential units worth RM12.26 billion remained unsold in the first half this year. This was 40 per cent more than the same period last year, with the majority of the homes costing more than RM500,000. Cheong said failure to sell at least 40 per cent of the total units will put developers at the risk of losing their bridging financing from banks to support their construction. Henry Butcher Malaysia chief operating officer Tang Chee Meng responded that although the market was sluggish and unsold houses could possibly increase next year, some projects under RM500,000 and those above that price range in popular locations are still enjoying good take-up rates. Tang pointed out that there had not been a significant rise in non-performing loans or a substantial rise in foreclosed properties put up for auction. According to Siva, who is head of investments of Axis REIT Managers Bhd, market sentiment has improved this year. “If you compare the data for the first half, you will find there is certainly an improvement to what happened in 2016. Of course, it is only two quarters and it is difficult to predict just based on two quarters, but if you use the data of the first two quarters of 2017 versus the first two quarters of 2016, there is a slight improvement. I feel the market sentiment this year is a lot better than last year and sometimes all you really need to drive the market forward is positive sentiment. “We are not a country of analysts and data crunchers. We are a country who relies more on gut instinct. If a lot of people think the market is down, although all fundamentals look great, then the market will go down. But if all purchasers think the market is on its way up although the fundamentals are weak, then the market will go up. I think positive sentiment is important,” said Siva. He said there is a bit of jitters now with petrol prices going up every week. “There seems to be no respite there. The prices of goods are also going up but peoples’ salaries still remain low. The vast majority of people are having trouble making money and meeting their monthly expenses. All that affects some portion of the market. But the other portion of the market, the rich, seem to be doing very well. If you go to high-end restaurants and bars in the evening, you will see a full house everyday. I ask you, where is the slowdown? Crowd queues to select units at M Centura sales gallery in Sentul during the project’s preview by Mah Sing Group Bhd. He added that barring any unforeseen circumstances, 2018 will definitely be better than this year. On Cheong’s “prediction” that property prices will likely drop from RM500,000 to RM300,000, Siva said this was a ridiculous assumption. “That is a 40 per cent drop… it is not likely to happen. You must differentiate asking prices from actual transacted prices. A lot of what we see are asking prices and vendors have become silly in their asking prices, primarily because a lot of properties being offered for sale now were bought in the heydays of 2014/2015. People were buying everything that was being sold because financing was easy. A lot of people bought properties which they did not need. “One of the biggest damage to the industry has been done by the so-called property gurus who have no credentials at all. They just crawl out of the woodwork and claim themselves as property experts. They make all sorts of claims that they got rich from buying multiple properties and there are a whole bunch of people who are naive enough to follow what these people say. This is human nature. It is greed,” said Siva. He said a lot of people bought the properties and they were told at the time of buying that they would be able to make a certain amount of profits by selling at a higher price when the property was completed. When there were no takers in the last one to two years, prices started to drop. “What actually happened was that asking prices had dropped, not the actual transacted price. The prices they were asking were too high in the first place. And because they couldn’t find buyers they kept reducing the asking prices in the last two years. That is why the general public think that there is a crash. This not withstanding, there will always be some properties sold under market value whether good time or bad. “My opinion is the vast majority of people who bought these properties bought them on speculation. The good thing is the majority are likely to be single mortgage investors. I think they will fight tooth and nail to keep the property they bought. Many will lower their asking prices to attract possible buyers until they reach close to their break-even price, which means they will come down to the price they initially bought the unit from the developer. “Of course in this market, they will never get the price or rent promised by their so called property guru. I believe the vast majority will grit their teeth and hang on,” added Siva. Some developers are doing well under the current market circumstances and achieving their targeted sales from each project launched. 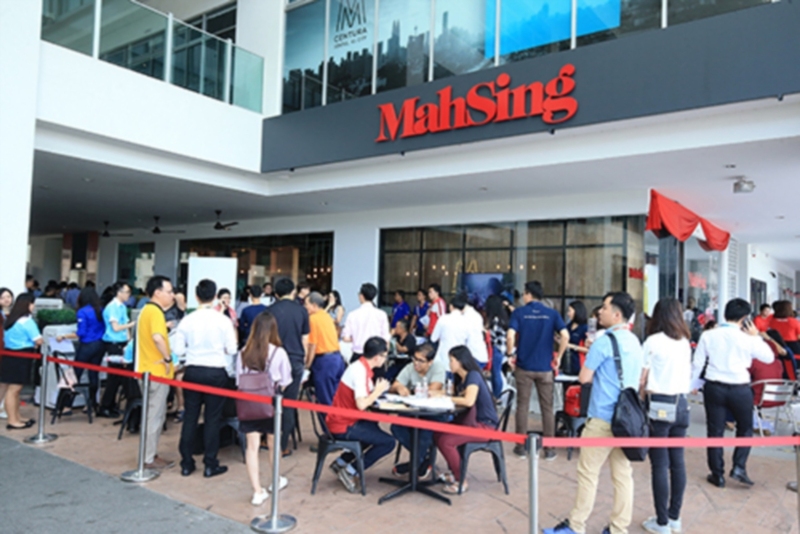 Mah Sing Group Bhd chief executive officer Datuk Ho Hon Sang said the recent preview for its project — M Centura in Sentul, M Vista in Penang and Fern in Meridin East, Johor — has achieved an average take-up rate of 95 per cent during the two-day launch. “We are unable to comment for other developers but looking at our project previews and launches this year, we still receive encouraging response from the market… So, in our opinion, the market will not crash in 2018,” Ho told NST Property. “The economy of the nation is generally fine and expected to grow between five to 5.5 per cent in 2018. Not only that, recently there is a rise in oil prices and the ringgit has strengthened. With the economy of the United States and Europe doing well, it will also benefit our export industry. All in all, there is no crisis for the property market,” he said. Ho believes with Malaysia’s growing economy supported by young demographic, growing population and a low unemployment rate, market sentiment will be betternext year. He also pointed out that according to Napic, there has been a growth of housing prices for the past few years. The local property market remain stable, say analysts. As of the second quarter of this year, there was 5.6 per cent year-on-year growth in housing price. “Property prices are dependent on various factors, such as type of property, location, accessibility, connectivity. It is important for developers to carefully plan out their developments to incorporate good features needed by homeowners and, at the same time, suitable pricing that fit into their target market. “A good example is our M Vista project in Southbay, Penang. We understand that the current market is looking at affordably priced residential homes. So, we carefully plan out this residential product to be priced from RM345,800 without compromising the quality and features of the development. This is achievable for us because we have the economy of scale to optimise operational efficiency and reduce our material costs,” he said. Ho believes that the availability of good housing schemes in the market will be able to boost buyers’ sentiments. “A good initiative by the government is extending the ‘PR1MA Skim Pembiayaan’ to private property developers. We believe this stepped-up financing scheme will be able to benefit home buyers as it will give them a fixed first five year instalment with only interest being paid. Ho added that the 2018 Budget, which has several incentives to help Malaysians own homes, has revived keen public interest in affordable homes in good locations.